- Share it on Facebook. It's what everybody is doing. - Email your friends in-app the news you find interesting. - Tweet up a storm about your favorite BWB posts. 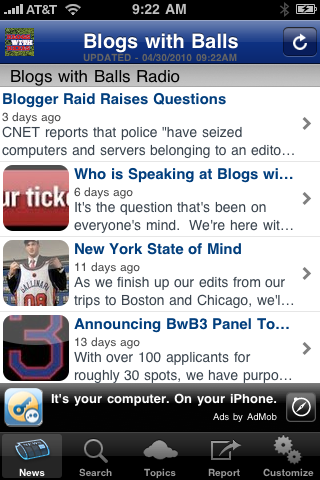 Get your Blogs With Balls news delivered to your iPhone as only an app can do.